Visit Heritage Village for Family Fun this Fall! I recently checked out the Heritage Village Museum (check out the video below) to learn about some of the fun events they have coming up this fall! If you haven’t been before, you MUST. 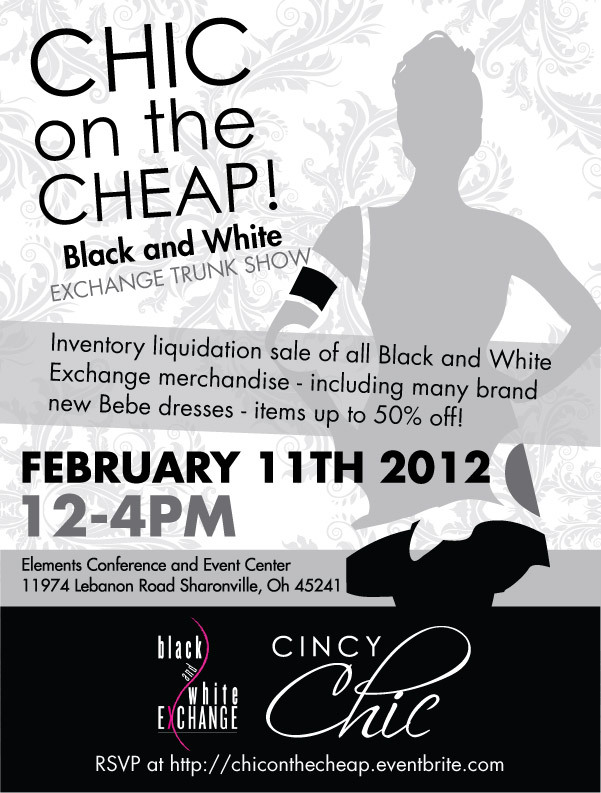 It’s in Sharonville, so it’s pretty convenient no matter where you’re coming from in the city. It’s not your typical “museum” either. It’s essentially a collection of different buildings from different time periods, and each one is decorated with authentic items/decor that you would have found in it during its prime. They’re also staffed with people outfitted in period clothing who can tell you all about the building and the items you’re seeing. It’s really pretty cool. I’ve been before with just the hubs before we were parents – it was a holiday themed event where you could go in and see the buildings and people all decked out for the holidays. So I know they go all out for the events they hold at Heritage Village. Which is why, now as a parent, I’m SUPER excited for these fall events! I’m definitely bringing our little history buff in the making! Check out the event details and video below! This exhibit highlights the important role Ohio played in the Civil War with every artifact on display representing the greater Cincinnati area. Items include the field desk of Major Robert Joyce of the 93rd Ohio Volunteer Infantry, uniform of Captain Henry Mallroy of the 35th Ohio Volunteer Infantry, and Saber used by Dr. Henry Langdon, Brigade Surgeon with the 79th Ohio Volunteer Regiment. This exhibit is the capstone project of Eric Kelso, a graduate student in the Master of Arts Public History program at Northern Kentucky University. Heritage Village Museum presents a new exhibit showcasing American glassware in the 19thcentury. Glass has long been a vital material for both functional and decorative household items. Between 1800 and 1900, the glassmaking industry was revolutionized by the invention of machines to manufacture glass by pressing rather than blowing and decorating it by hand. Pressing allowed greater availability of glassware and a wider array of designs. This exhibit highlights different variations of glassware, ranging from everyday objects to symbols of economic status. The exhibit runs through October 23, 2015. Admission is $2/adults, $1/children 5-12. Children under 5 and museum members are free. Exhibit admission is included with the purchase of a guided or self-guided tour. To keep up with the latest news and events at the Heritage Village check out their blog and newsletter! 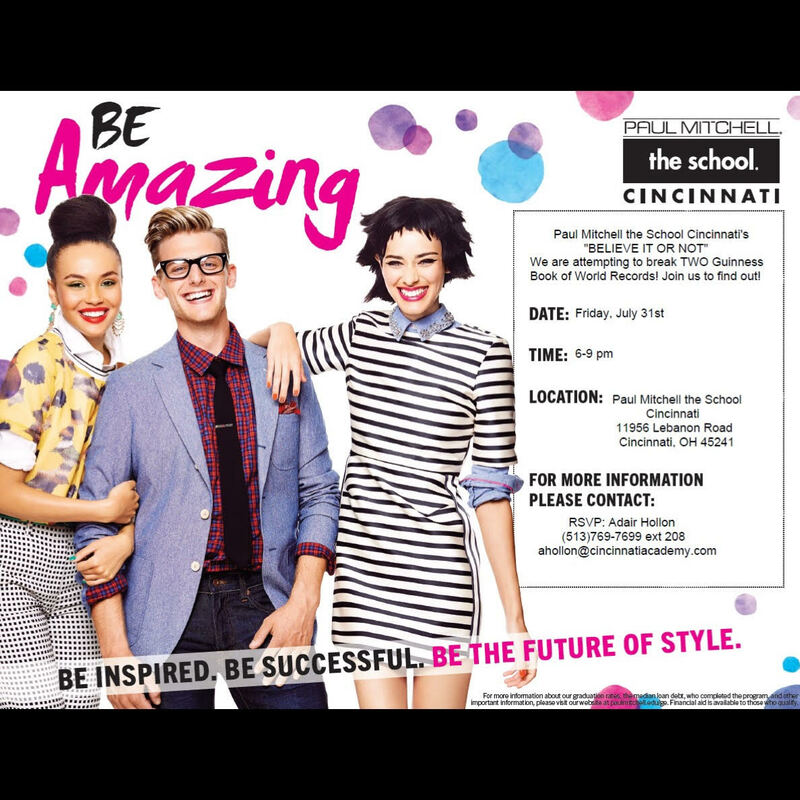 Paul Mitchell the School Cincinnati is hosting an event this Friday night at their campus in Sharonville, in attempts to break TWO Guinness World Records: Tallest Hairstyle and Hairstyle with the most drinking straws! By attempting these records they hope to raise money for many local and national non-profits (details below). Stop by and support them this Friday any time between 6-9PM at the school- 11956 Lebanon Rd Cincinnati, OH. $10 Adult $5 child entry fee for their charity efforts.